This is a beautiful canvas print made from an original painting by artist Jo-Anne Coletti and textured to give it the look of an old, scratched painting. 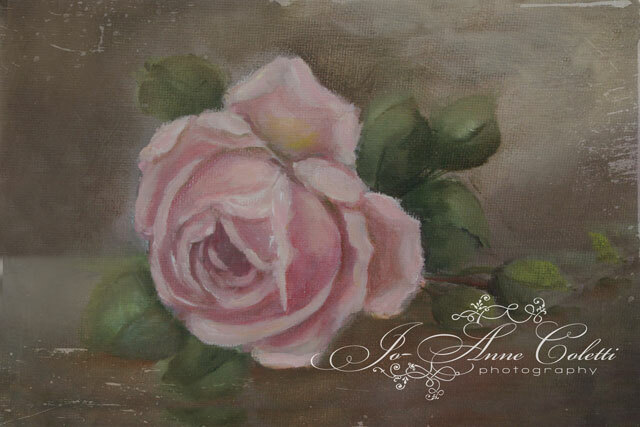 The background is a muted brown, taupe color with one large pink rose. This is a gallery wrapped canvas and is stunning just as it is, no need for a frame, and ready to hang on your wall. Measures- 8x12.